Alex Head shines the light on one of Social Pantry’s favourite suppliers, the Key4Life charity. Why did you get involved in Key4Life? I was a troublesome teenager and ended up being expelled from school. So, I know only too well how important it is to be given a second chance. It has always been essential to me that no one dwells on anyones past and only looks at the opportunities ahead. When a close friend mentioned Key4Life to me 4 years ago and I knew it was something I wanted Social Pantry to be involved with. How do you support Key4Life? We currently have five GREAT guys working for Social Pantry in all different aspects of the business and I will always continue to offer employment to the gentlemen on release when I have the positions available. We offer a 3-day work taster for ex-offenders to explore options available to them, pick up a few skills and meet different people within a non-pressurised environment. I am also a massive champion of shouting about the charity. 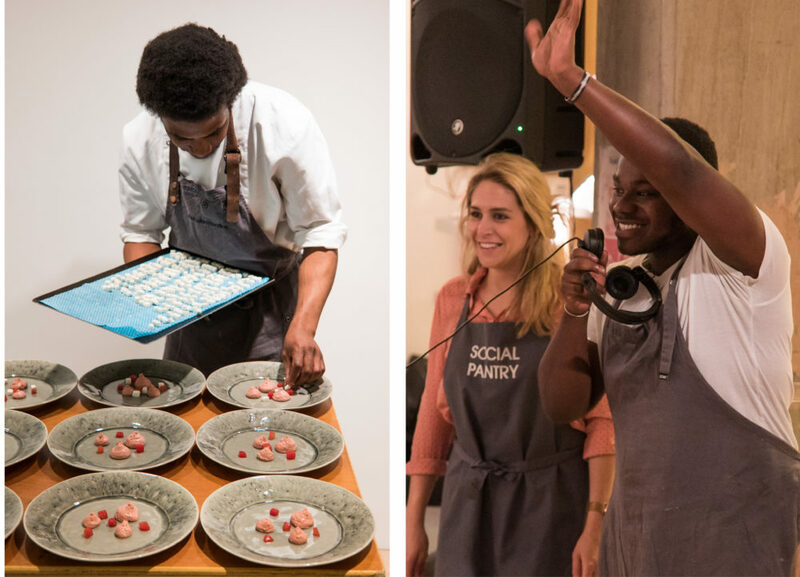 This year we organised a ‘Social Supper’ to raise awareness, where we handpicked five young ex-offenders to devise a delicious 5-course menu – not to be revealed until the night. Each individual was paired with a chef to prepare, cook and serve a dish from canapés through to desserts. The event was a massive success and the supper was a brilliant way to help raise awareness of the scheme in a creative, positive and safe environment. All the money we raised from the evening went straight back into helping the Charity. Suhail is one of Social Pantry’s longest standing members of staff and has been with us for over two years. He started three days a week but quickly showed his determination and within six months became a leader within his team. Watching Suhail’s journey has been so fantastic. Suhail has grown in confidence since joining and is now firmly embedded within the SP team. Taking on my first employee, Suhail. Doing a talk in Wormwood scrubs to the gentlemen pre release about the opportunities on the outside. Being recognised with an award at the BT Tower and doing a little speech after a few glasses of wine! I am not a surrealist, when people ask me about the trials and tribulations of employing ex-offenders, I tell them straight. Of course, there are difficulties. Running a business whilst simultaneously mentoring the guys can be time consuming. Sometimes it just doesn’t work out and this can be due to a number or reasons, travel, housing, probation etc. However, more often than not the guys that get involved with Key4Life want to learn and these are the ones that make it 100% worth it for me! 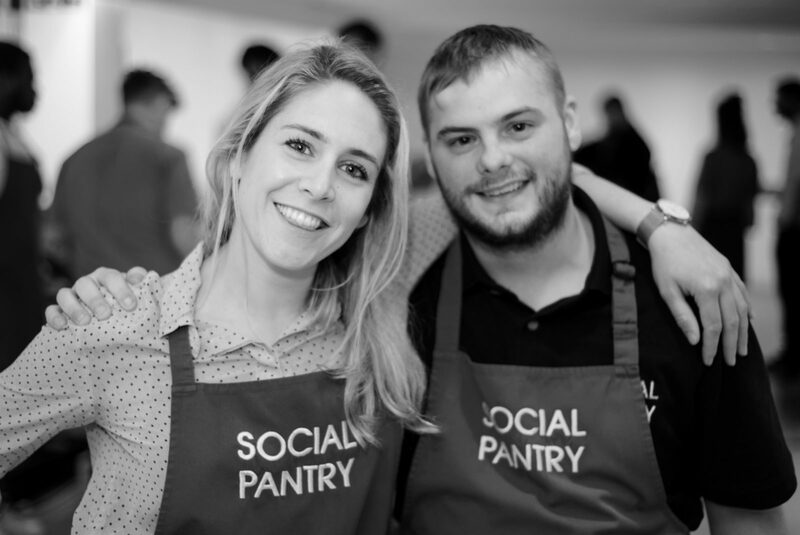 What’s next for Social Pantry and Key4Life? 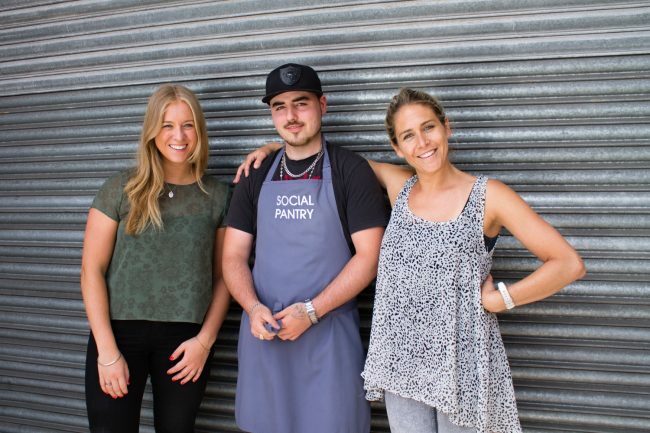 It’s a very exciting time at Social Pantry and as our team continues to grow so will our support for the charity and ex-offenders. I will maintain my regular visits to London prisons and continue to look for new scope to support education and rehabilitation initiatives pre/post release. Words of advice to those thinking about looking into employment of offenders? Do it! It is definitely something to really immerse yourself in and truly rewarding when you find those people who prove everyone wrong! Feel free to get in touch if you would like to hear any more info on the charity or how the initiative works within Social Pantry.